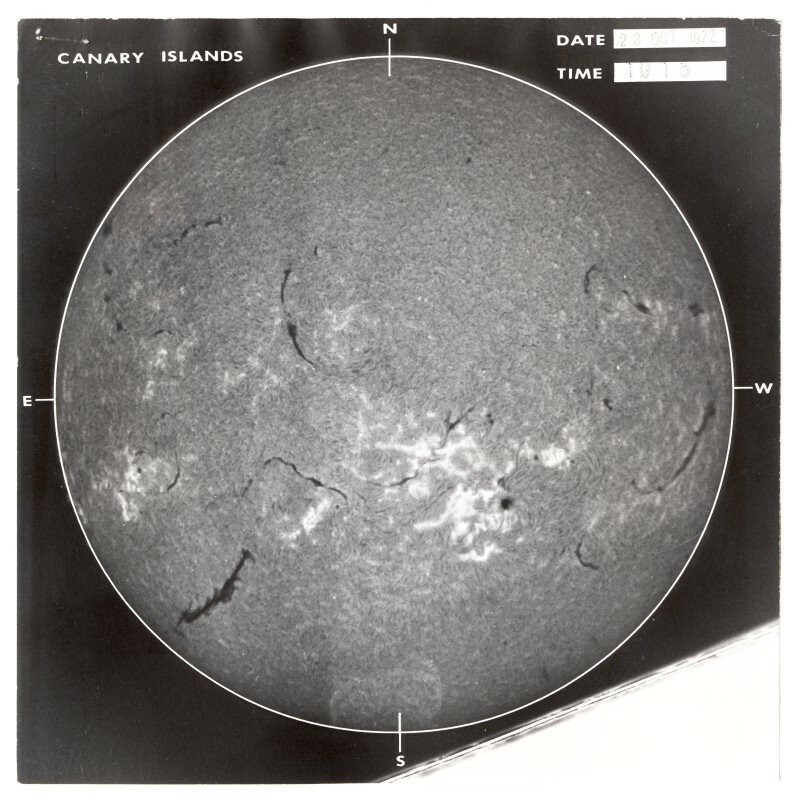 Example Image from Chromosphere_H-Alpha_CanaryIslands series. These datasets consist of full-disk, daily photographs of the sun taken at the H-alpha wavelength. Collection includes a variety of H-alpha photographic datasets contributed by a number of national and private solar observatories located worldwide. Solar observations in hydrogen-alpha (656.3 nm) reveal the structure and dynamics of chromospheric features including prominences, filaments, plague, filaments and the chromospheric network. The date range of this data is misleading. We have only one month in 1972 which these images were obtained with a Razdow telescope at a NASA tracking station (Apollo program) at Maspalomas in the south of the nearby island of Gran Canarias The data from 1996 - 2004 is from the Kiepenhever-Institut, Freiburg.